The First Los Angeles Turkish Film Festival will host Turkey's top films and directors from March 1 to 4 at the Egyptian Theater in Hollywood. The festival will unspool five award-winning features including Semih Kaplanoglu's "Honey," winner of the Best Film Award at the 2010 Berlin Film Festival. There will also be Q&As and a short film competition, culminating with a red carpet and awards ceremony on Sunday, March 4. "Turkish cinema has received a lot of international recognition in recent years," said Mehmet Gungoren, General Manager of LATFF. "We wanted to bring it to the heart of the film industry and give LA's cinema lovers a chance to see the work of these exciting filmmakers." The festival will kick off with a screening of Dervis Zaim's "Shadows and Faces," which won the Best Film Award at the International Ankara Film Festival, followed by a Q&A. Zaim, who is head of this year's LATFF jury, is regarded as one of the founders of the New Turkish Cinema and has received worldwide acclaim for his work. The other feature presentations are Seren Yuce's "Majority," winner of the Lion of the Year at the Venice Film Festival; Mahmut Fazil Coskun's "Wrong Rosary," winner of the Best Film Award at the Rotterdam Film Festival and Yesim Ustaoglu's "Pandora's Box," winner of Best Film at the San Sebastian Film Festival. The festival will wrap with Kaplanoglu's "Honey" followed by an awards presentation. Judging the shorts competition is a prestigious line-up, including Barbara Boyle, long-time producer and Chair of the University of California, Los Angeles (UCLA) Film, TV and Digital Media department; Elvis Mitchell, film critic and host of "The Treatment" on KCRW; Kathy Evelyn Smith, Chair of the Animation and Digital Media Department at the University of California (USC); and Alin Tasciyan, a Turkish-Armenian film critic and Vice President of the International Federation of Film Critics (FIPRESCI). The ten short film finalists will be screened throughout the festival and there will also be a special Short Shorts Corner of Japanese films. 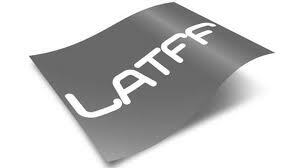 Sponsors of LATFF include the Film Alliance, USC's School of Cinematic Arts and The Turkish Cultural and Tourism Ministry. Schedule and tickets: www.latff.org or (310) 866 8406.